Garbage sorting can simplify waste disposal technology and improve waste disposal efficiency. After the garbage is collected by the Waste Recycling Machine, the combustible components can be incinerated to generate heat, and the thermal efficiency can be improved. The easily degradable organic substances can be sorted out for composting to improve the quality of compost; the waste used in landfill can be reduced in wet garbage and toxic. The amount of hazardous waste reduces environmental pollution. 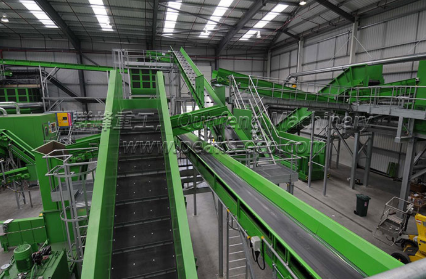 If you have demand about Waste To Energy, please leave us a message or contact us via email. PreviousNew Year and New Weather, Customers Are Visiting Again! Add: Kunsha Centre, Chaoyang district, Beijing City.